The McMichael Canadian Art Collection’s summer exhibition showcases the work of one of the most important early artist alliances in Canada. 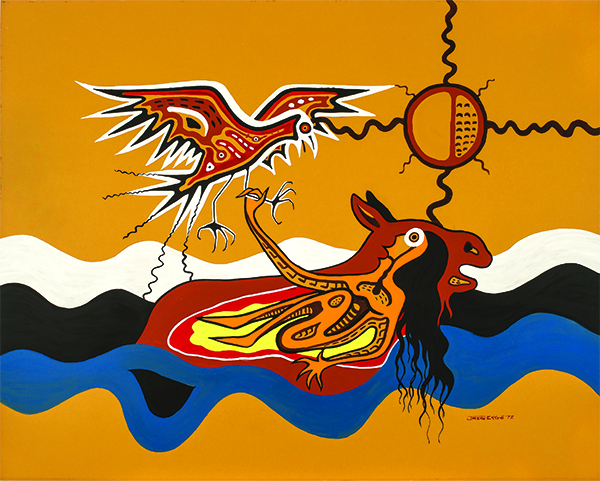 7: Professional Native Indian Artists Inc. is on from May 9 to September 7, 2015. 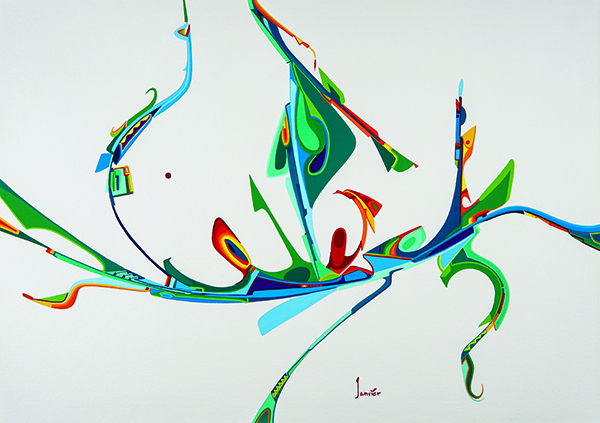 Gathering informally in the early 1970s, Norval Morrisseau, Daphne Odjig, Jackson Beardy, Eddy Cobiness, Alex Janvier, Carl Ray, and Joseph Sanchez officially incorporated their group as the Professional Native Indian Artists Inc. (PNIAI) in February 1974. This “Group of Seven” was a groundbreaking cultural and political entity that self-organized to demand recognition as professional, contemporary artists. They challenged old constructs and stimulated a new way of thinking about contemporary First Nations people, their lives, and art. The exhibition draws on both private and public collections to bring together a variety of artworks including recently uncovered masterworks of the period that have not been accessible to the public for many years. The exhibition focuses exclusively on that crucial decade during which the seven artists were active as a group; exemplifying the range and diversity of work being produced by the PNIAI in the 1970s. Jann L.M. Bailey wrote about Odjig’s interactions with the McMichaels as detailed in Robert McMichael’s book, One Man’s Obsession. When I first got in touch with Daphne Odjig in the 1970s, it was arranged that several of her canvases would be sent to Kleinburg so we could make a selection. Odjig visited and kept in touch with the McMichaels, and over time they became good friends. It seems very fitting that the work that she and the others did with the Professional Native Artists Inc. during that same time period should now be exhibited at the McMichael Canadian Art Collection.